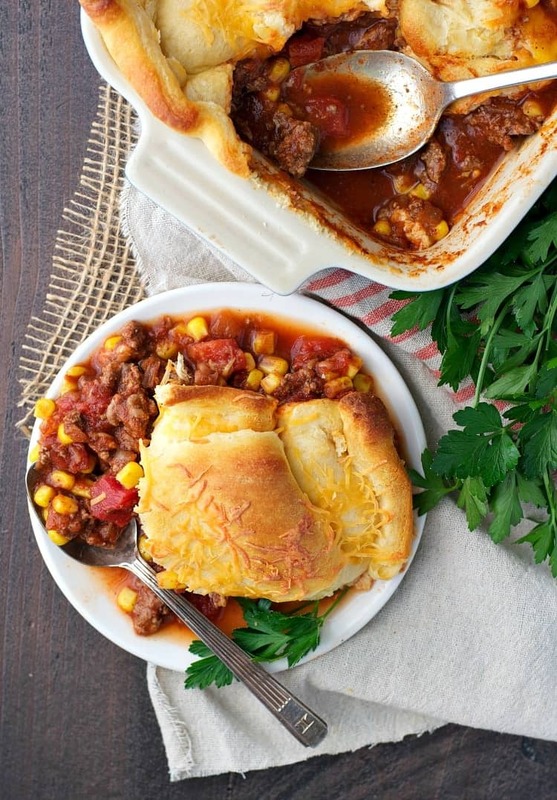 This cozy dinner is ready on only 30 minutes made with a hearty and delicious beef chili and a cheesy cheddar crescent roll crust. 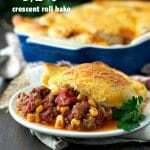 This cozy Chili Crescent Roll Bake is an easy dinner that’s ready in 30 minutes! 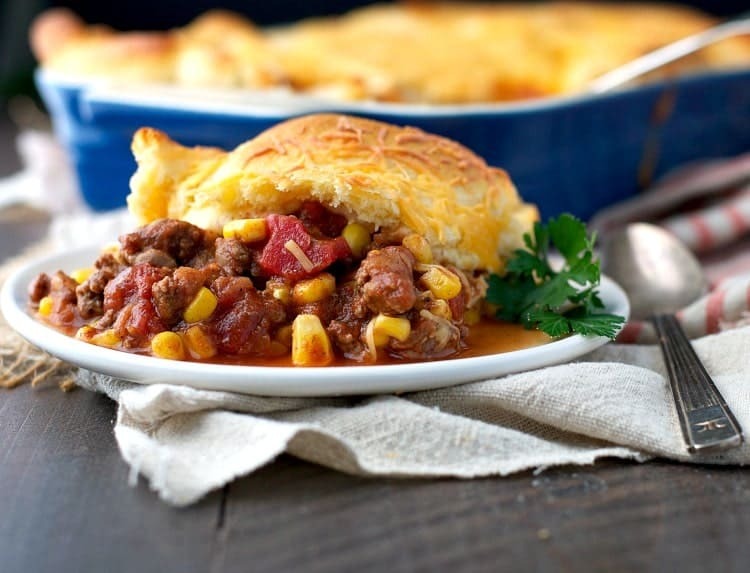 The hearty beef and corn chili is topped with a cheesy cheddar crescent roll crust for a comfort food casserole that the whole family will love! Seriously, you guys…we devoured this meal! This right here is the definition of a pantry meal! I almost always have some ground beef, corn, and diced tomatoes in the kitchen. Shredded cheese and crescent rolls (for those emergency side-dish scenarios) are also staples. When there’s nothing else planned and you’re scrambling at the last minute, THIS needs to happen. The casserole is the busy mom’s version of weeknight chili! 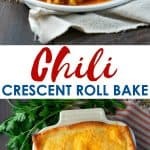 When you don’t have time to wait for a pot of chili to simmer in the slow cooker all day, just spend 15 minutes putting together a comforting Chili Crescent Roll Bake instead. Your family will think that you spent hours in the kitchen, and you can just pour yourself a glass of wine for a few minutes while the oven does the rest of the work! Win. Win. Win. Preheat oven to 375F (190C). Spray a 2-quart (about 8-inch x 12-inch) baking dish with cooking spray. Set aside. In a large skillet over medium heat, cook beef and onion until beef is no longer pink (about 6-8 minutes), breaking up the meat with a wooden spoon as you stir. Drain off any excess fat in the pan. Stir taco sauce, corn, tomatoes, chili powder, cumin, salt and pepper into the skillet with the beef and onion. Transfer mixture to prepared baking dish. Sprinkle with 1 cup of the cheese. Unroll the sheet of dough (if using crescent rolls, press perforations to seal). Place dough on top of meat mixture. Sprinkle with remaining ½ cup cheese. Bake for 15-20 minutes, or until heated through and crust is golden brown. 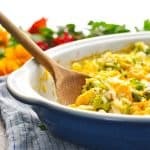 Previous Post: « 6 All Day Slow Cooker Freezer Meals in 1 Hour! 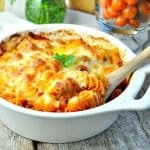 This definitely looks like my kind of comfort meal! And my husband would love this too. 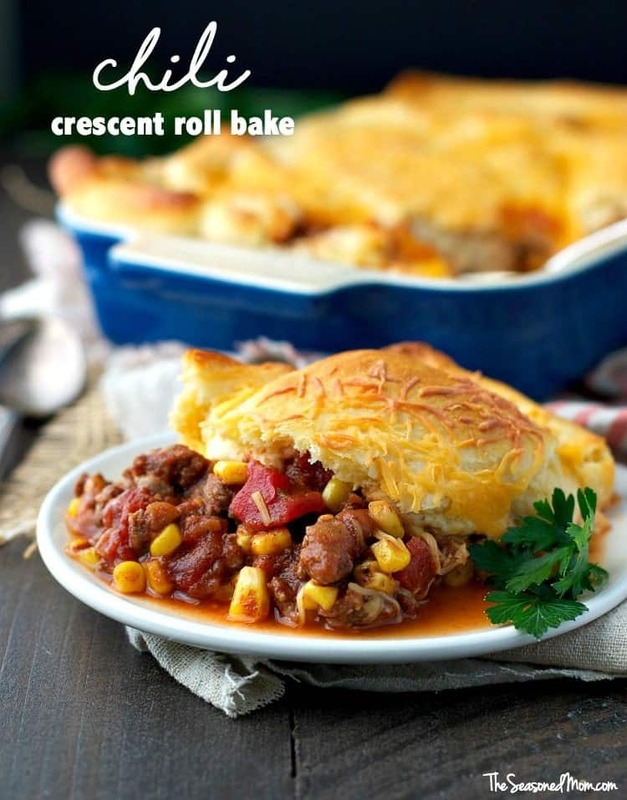 Such a great idea to use crescent rolls in here, and I love how easy this is to make! Pinning to try out later! My husband will LOVE this! i bet i can use the new GF pastry dough for pillsbury, ya think? Definitely! I didn’t even realize there was a new GF pastry dough. How convenient! I seriously love all of your easy meal ideas. 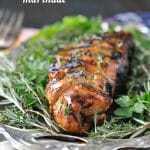 This is just perfect and sounds so flavorful. Thanks for sharing! 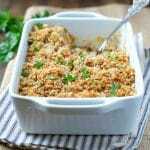 My family would love this meal as we all have busy schedules, this is quick and easy. Excellent! I’m so glad that you might try it, Mary! Looks like supper tonight for us with no trip to the store for me? Hooray! Isn’t that the best?! 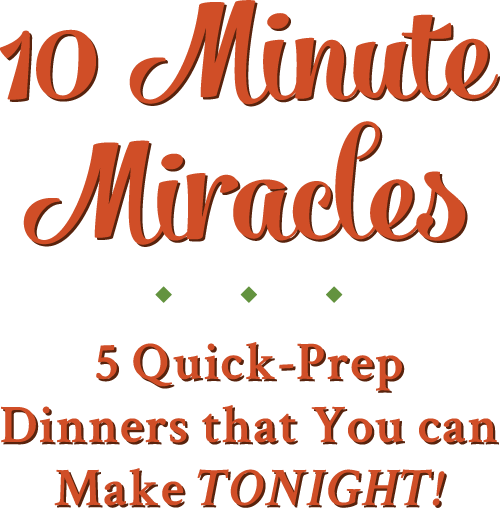 Love when I realize that I have all of the ingredients on hand for an easy dinner! Enjoy, Shannon! What an awesome take on a fall classic! I have two huge batches of chili in the freezer I made pre-baby. I might try and see how I can use what I already have to make this yummy dinner. My husband would love it! I am a sucker for crescent roll anything, and this recipe looks like the perfect way to ring in the newly chilly fall weather – perfect! Thanks, Kate! I agree — perfectly cozy for this fall weather! This looks incredible! We don’t have crescent rolls in Australia but I wonder if I could make them from scratch to use in this! 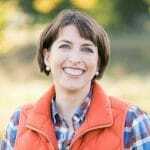 I met you on the Sticky Blogging group. I made this last night, with quadrants for kiddos who won’t eat various combinations of cheese (who doesn’t like cheese? ), tomatoes, onions, etc. It was a grand success! I was so excited to get out of my humdrum chicken routine.